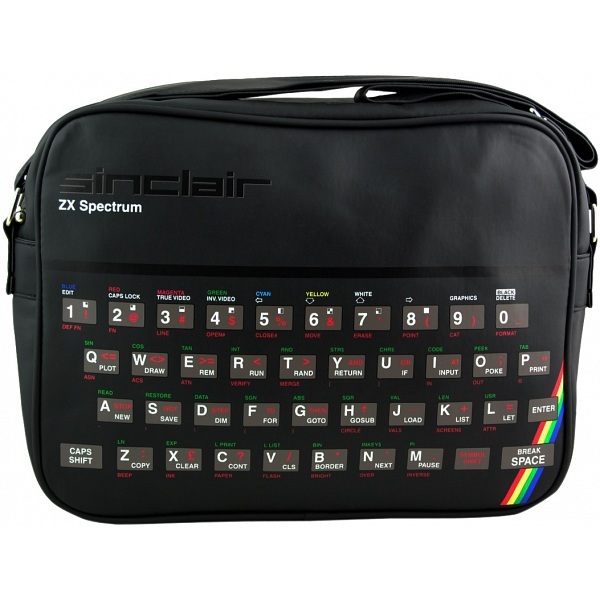 The brilliant new Sinclair ZX Spectrum messenger bag from Pop Art Products and Vitamin t is now officially our most loved messenger bag. 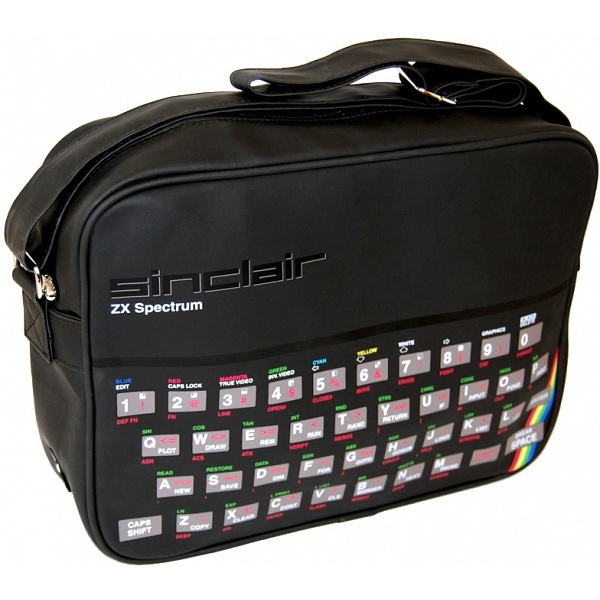 The perfect gift or present for any Retro Gamer, or classic computer and video game fan. 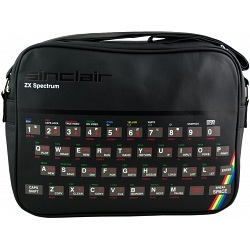 Sure to turn heads at LAN parties, retro gaming conventions, festivals and electronic expo's. The understated nature of this bag means that it is not just the reserve of casual use but can also be used as a work bag. We suspect this bag to prove popular with web developers, engineers, gamers, students, geeks and of course folk in the IT community.